Product #12356 | SKU 1150-001-120 | 0.0 (no ratings yet) Thanks for your rating! 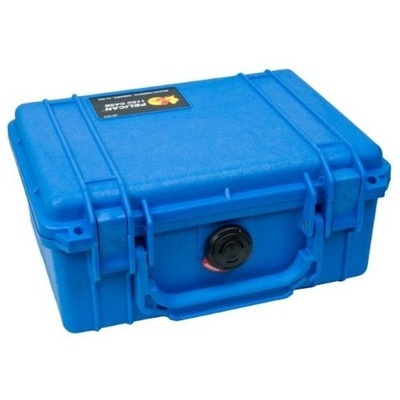 The Pelican 1150 Case without Foam is an unbreakable, watertight, airtight, dustproof, chemical-resistant and corrosion-proof hard case used to carry any kind of equipment that needs to be protected from the elements. It is made of Ultra-High Impact structural copolymer that makes it extremely strong and durable. It has a 0.25" (6.4mm) neoprene o-ring, easy-open double throw latches that seal perfectly. It includes an automatic pressure equalization valve for quick equalization after changes in atmospheric pressure. It is carried by a large handle that enables a person to use two hands for heavy loads. Watertight, crushproof, dust proof, chemical and corrosion resistant.